Age Range: early childhood; cake and/or cat lovers of all ages. Themes: community; friendship; family; cats; cake; pastries; bakery; adventure. From the creators of ‘The Fairy Dancers’, which I have reviewed and spoken about here, here, here and here (! ), comes a new collection of stories, perfect for fans of ‘The Cleo Stories’ and ‘Ruby Red Shoes’ and ‘The Sister Saint-Claire’. 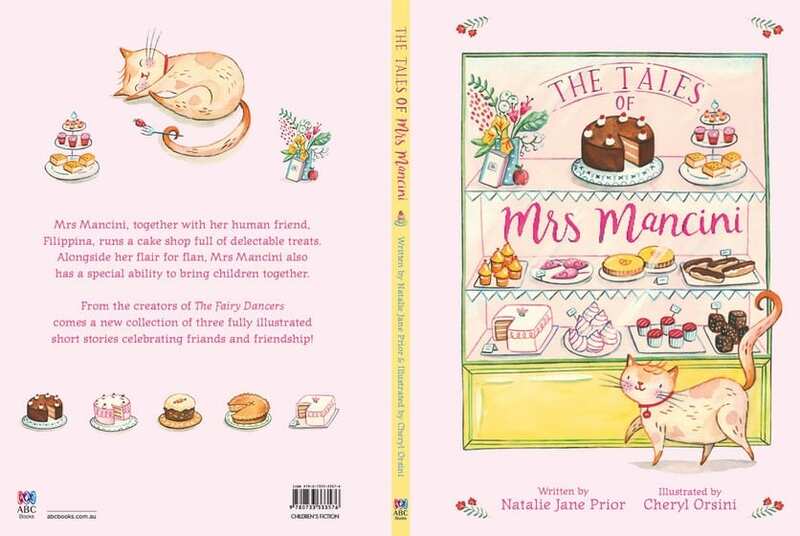 ‘The Tales of Mrs Mancini’ tells the story of a cat, Mrs Mancini, who together with her human friend, Filippina, owns a patisserie full of delectable treats. Alongside her flair for flan, Mrs Mancini also has a special ability to bring lonely children together. Click on title links of books to purchase. The three fully illustrated short stories contained in ‘The Tales of Mrs Mancini’, each focus on children living in a small village: Claudette, from the fruit shop; Jack from the bookshop; and the twins, Daisy and Rose, from the florist. These tales of friands and friendship are authentic, relate-able tales, which are interwoven perfectly and together they create the feeling of a lovely community with Mrs Mancini and her patisserie at its heart. 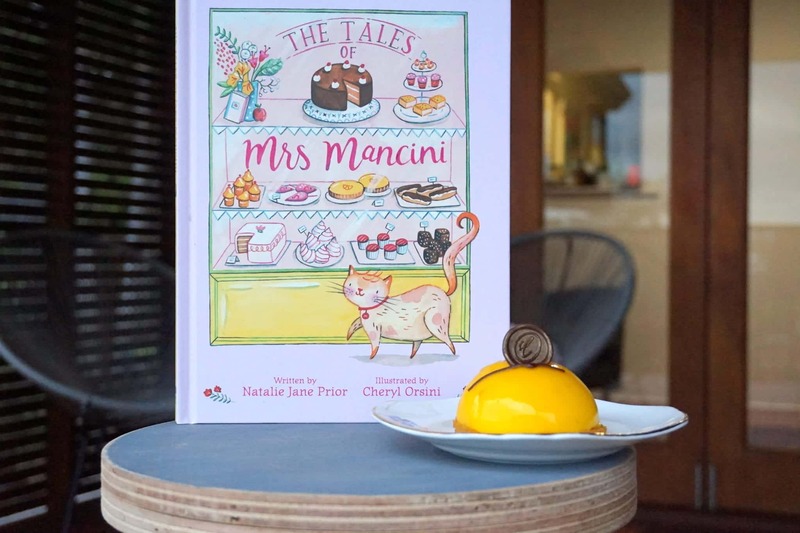 ‘The Tales of Mrs Mancini’ celebrates the wonder of cake and the magic of friends to solve most of the worries of the world. It is pure creamy, sugary delight and sometimes this is just what I want from a book – pure loveliness. I have now read this entire book 20+ times to kindy – Year Four students and I still have a chuckle and have to stop over the line about Mrs Mancini being very concerned about lack of cake eating by one child! What’s not to love about a cat who frets over her human friends losing weight through not indulging in daily cakes and pastries? Cats are of course, well-known for their assumption that they are in charge over their human owner, and I love that Natalie Jane Prior has used this to great effect in ‘The Tales of Mrs Mancini’, putting the lovable and adventurous Mrs Mancini squarely in the main character position. 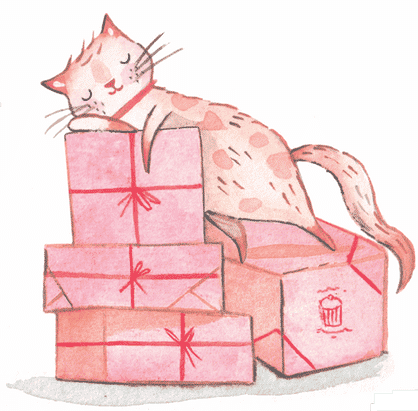 So much more charming and interesting for young readers to have a cat in charge than just a plain old, boring adult! 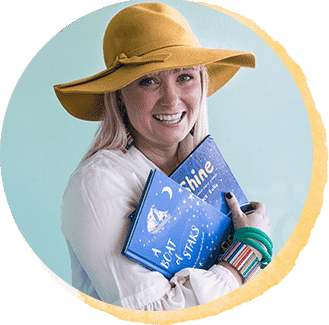 My Prep students were also most excited to find out that the character of Mrs Mancini was based, in part, on a real cat, and over the next few weeks we’re collecting stories of our own pets or pets we know, to write a collective ‘Tales of…’ style book. 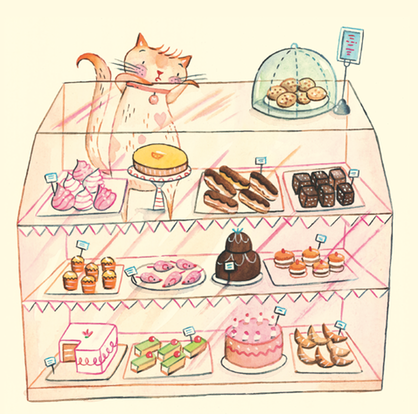 Mrs Mancini would probably not like to know this, but I think Cheryl Orsini’s illustrations of cakes, friands, tarts, meringues, sugar mice and pastries outshine her. It really was jam and cream filled brilliance on the part of author Natalie Jane Prior to create this text for Cheryl to work her sparkling, sugary magic on and the book is best consumed while eating patisserie goods…for the full literary experience. Cheryl Orsini has included some very fine little details, for the astute reader of images, such as the cover of ‘The Fairy Dancers’ and Jack’s mum, pictured looking very pregnant, before we find this out. Small details such as these add immeasurably to the visual literacy skills which are developed when reading images in quality picture books. ‘The Tales of Mrs Mancini’ is Christmas gifts for 2-6 year olds DONE. 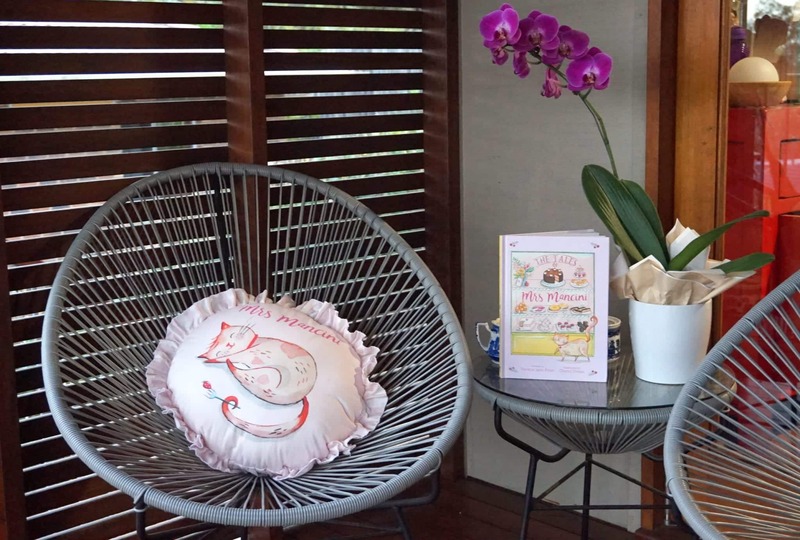 Even better is the fact that once again, the creators have produced a huge range of fabric and simple to sew pre-printed patterns, through Spoonflower, which mean you can gift the book and a cushion, apron, pyjamas, book bag…whatever your little seamstress heart desires. The ‘Natalie and Cheryl Shop’ is here and it even contains some librarian fabric, which if you look closely you may recognize as me with my pink hair – I am FABRIC people – technically I could make a ME doll! Their fabric and sewing projects are just utter picture book genius, because who doesn’t want to wear endpapers and children’s book illustrations? ‘The Fairy Dancers’ was used for ChickPea and PudStar’s bedroom and it remains one of their favourite books. I can see many a bedroom or playroom done up as Mrs Mancini’s bakery and PudStar is rather enamoured with her tote bag and her dress, which is actually an apron (purchase fabric and pattern here), but far too pretty to be relegated to the kitchen! COMPETITION CLOSED! Congratulations to B Coates and E. Diviny. For the chance to win a book and panel set, comment below (or on associated Facebook or Instagram posts) with your favourite patisserie treat and who you most enjoy sharing it with. Full terms and conditions below. I have received nothing in return for hosting this ‘Mrs Mancini’ giveaway. My aim is just to share the literary love and to thank all you readers who have joined me here at Children’s Books Daily. ‘The Tales of Mrs Mancini’ giveaway commences at 9am (AEDT) on 1st November 2016, and ends at midday (AEDT) on 7th November 2016. Entrants are required to leave a comment on this blog post OR on the Facebook post associated with the giveaway OR the Instagram post associated with the post. Winners will be chosen by CBD editors from all eligible entries received. I do love a flaky buttery croissant. I have a ten year old who is a big pastry fan so I would split it with my lovely Toby. I CANNOT go past scones with jam and cream, and a pot of tea! I love love love sharing a devonshire tea with my mum. Yummy food, a whole pot of tea and lots of gossiping… that is how its done! 🙂 Miss 5, runs a close second though! There is something special about our sneaky morning tea dates together 🙂 Both my girls will absolutely adore this book!!! The German bakery outside my first full-time job had miniature custard filled croissants with the ends dipped in chocolate. They were so good. 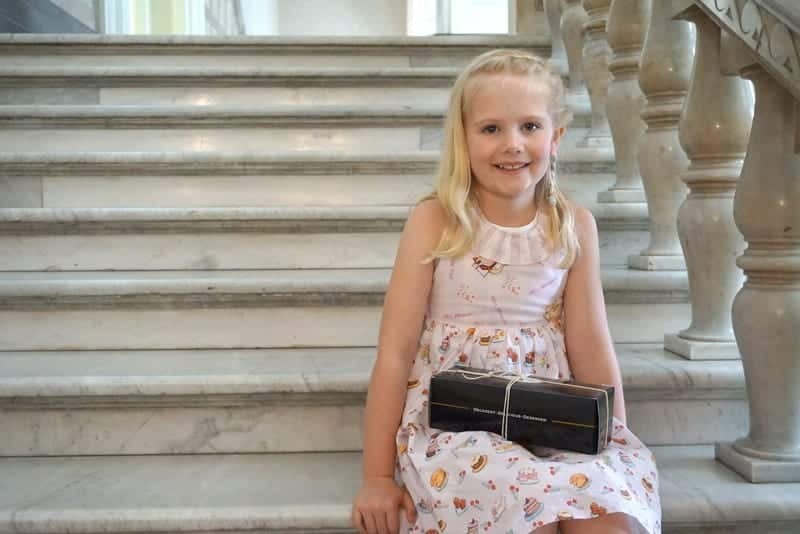 Our delight is sharing a vanilla slice, my 5 year old loves to go to a cafe and would be so thrilled to have a dress like that! How cute! 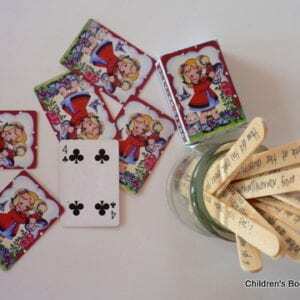 What a cute book and idea for kids, in love with it! My 5 year old daughter and I love going on a cafe date and sharing a vanilla slice. 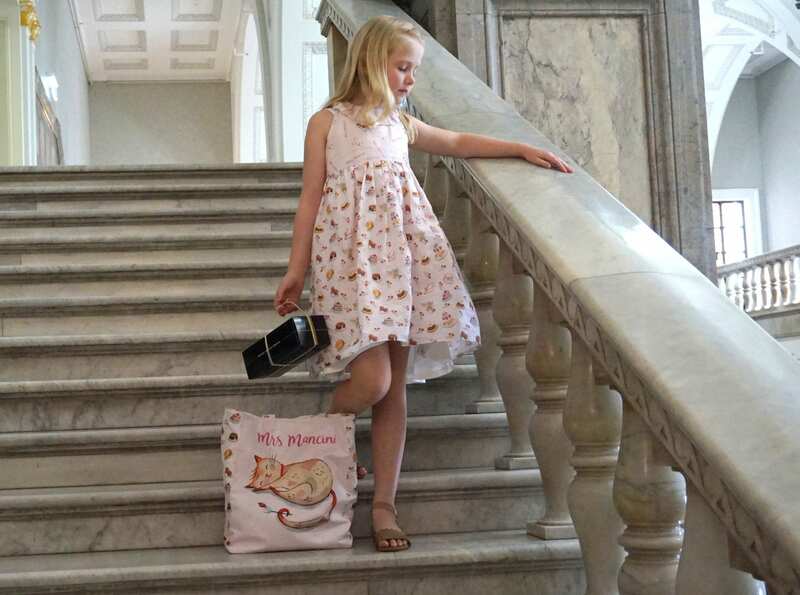 How cute is this book, she would love to have a dress and bag like your daughters in pic, what a wonderful idea! My darling daughter, Lola, is a huge fan of croissants, as am I! 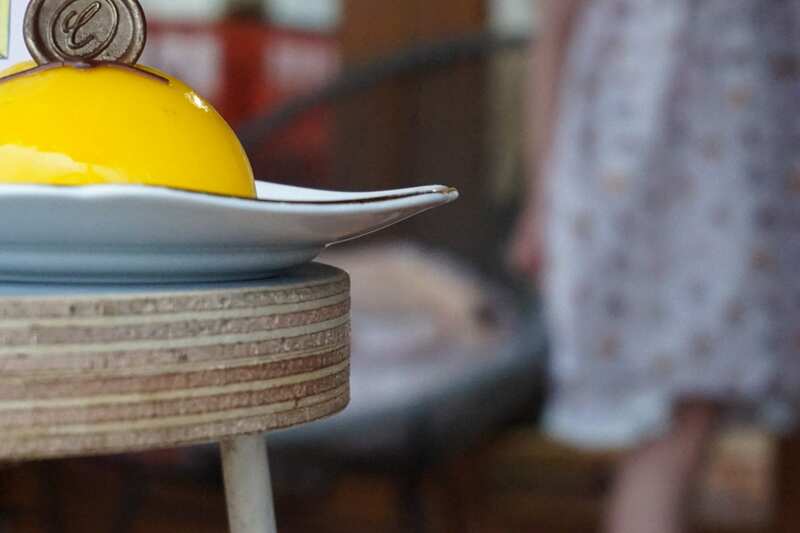 She is working on perfecting homemade versions with her Dad, which she takes very seriously, as when she grows up she’s going to own “Lola’s Cafe”. She has a special book where she draws pictures of things she’s going to sell when she’s a “Cafe Girl”. I honestly have never met a four year old who is so driven to own a cafe! My beautiful girls Olivia (4) and Mackenzie (2) are lucky enough to have a Daddy that did his baking apprenticeship when he was young. We are always spoilt with patisseries but our favourite by far are his scones with cream and jam. Sweet tooth from their dad, love of books from their mum. I have read The Fairy Dancers so many times i can tell u word for word all the stories in the book ???? My 7 year old daughter and I are very fond of finger-buns with hundreds and thousands on top. When she gets one its a very special treat and she sits in an old, worn leather chair in the corner of my shop and eats it while I finish work. I love sticking my finger in the icing, even though she tries to defend her special treat, it makes her laugh. My daughter Edelia (5) and I love to share a croissant and hot chocolate when we have a mumma daughter moment. This time is not only for sharing yummy sweets but for sharing a special moment so we can talk about important ideas and questions. We both treasure this time together. I fondly remember a French pastry at school we would have for Bastille Day called a Religieuse, a nun, which we found quite hilarious being at a Catholic school! I’d love to share one with my old teacher so I could perhaps try again to learn some more French than I did back then! This has to be one of the hardest competition questions Megan! Favourite patisserie treat? I cannot go past a chocolate eclair…. or an almond croissant… or a vanilla slice (the real one with super flaky pastry and real vanilla custard)…it’s too tricky to choose just one favourite! I would share them with my twin, one area in which we truly are identical, our sweet tooth! I must admit that chocolate croissants are my all time favourite. One of those buttery chic filled beauties and a strong flat white and I am in heaven. This is what happens when you try to type on your phone lying down. I must admit that chocolate croissants are my all time favourite. One of those babies and a strong flat white and I am in heaven. I would love to share a ginger creme brûlée tart with my four year old daughter and my 94yo grandmother. We have a little routine of visiting our mobile library bus and then visiting the nursing home to share picture books and little treat. Given we regularly share treats with my grandmother – could not go past your entry! Winner winner chicken dinner! In our house we would share a perfectly flaky mille-feuille with Gillian Mears to celebrate her cat with the coloured tail. Mine would a divine cannele to share with my little francophile! Canneles because it reminds me of when we’d visit Daddy at his cafe and our 3 year old would always sneak away with one. My favourite patisserie treat is a chocolate eclair as its decadent and I’m in foodie heaven when I’m eating one. I’d enjoy it with my niece as a special treat. I’d gift this to my daughter who is a teacher. She’s besotted with cats and is a huge foodie fan and I can just imagine her reading this to her students with a smile on her face and licking her lips! I’m partial to fresh scones with jam, cream and a cup of tea, but my book obsessed three year old adores a fresh croissant so I suspect that would win the day. She adores her cat as well so the combination of pastries, cats and a new story would be a big success in this household. My daughter and I love to treat ourselves to a macaroon and salted caramel and chocolate tart when we go to a patisserie. It is a lovely “Mummy and Me” time once a term. She adores cats and is a huge fan of Fairy Dancers, so I am sure the new book will be a HUGE hit! WE can’t wait to read this beautiful book together!